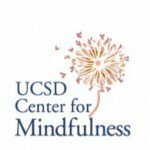 Research from the UCSD Center for Mindfulness suggests that what distinguishes people who are resilient in the face of physical challenges from others may be a natural capacity for the kind of self-awareness that mindfulness teaches, in other words, that body mindfulness and peak performance may be inextricably linked. Psychologist Lori Haase, and her colleagues at UCSD, have conducted a series of experiments examining how the capacity to deal with stressful situations (resilience) and the ability that athletes have to achieve peak performance in competition is linked to having an awareness of the body in a non-fearful and attentive way (mindful attention). She is Director, co-developer, and teacher of the Mindful Performance Enhancement, Awareness and Knowledge (mPEAK) program, and has worked closely with a number of different elite performers including Special Operations Forces, elite adventure racers, Olympic Swimmers, Olympic Cyclists, and RedBull Athletes. In the studies, Dr. Haase and her colleagues performed functional brain imaging studies which show that areas of the brain that are associated with internal awareness (portions of the anterior cingulate cortex and the anterior insula) were more active in the brains of peak athletes who received mPEAK mindfulness training prior to performing an emotionally and physically disturbing task (wearing a face mask that made it difficult to breathe) than in those who did not receive the training. She found that the fMRI pattern of increased attention to internal states (activation of the ACC and insula) before the stressful event was correlated with a generalized increase in ability to describe physical states (on the Five Facet Mindfulness Questionnaire) and to describe emotions (decreases in the Toronto Alexithymia Scale identifying feelings subscale). In other studies, Dr. Haase showed that the increased anticipatory activation of the insula was associated with reduced activation of the insula during the event itself. This suggested that what was happening was that these resilient people, faced with an anticipated physical challenge prepared themselves by increasing attention to what was going on in their bodies, but then during the event itself, perhaps because they were not activating fearful internal awareness circuits, there was not a big increase in activation of the insula. In other words these people were preparing for the event by paying close attention to physical sensations but they were not activating the fight or flight parts of the brain during the event itself. They were paying close attention to sensations that were identical to the sensations that people were experiencing a panic attack notice, but they weren’t becoming fearful. In this state of mindful physical awareness they were very connected to the actual events taking place in their bodies, and thus able to react very quickly to any change in state, which is why they are able to perform so well athletically. In fact, they were much more connected to the actual events taking place than people who are having a fear response. Think of it this way, in this state of “mindful internal awareness” there is a lot of sensory information flowing to their brains, and they are very aware, both consciously and unconsciously, of what is going on inside themselves. In a state of “fearful internal awareness” the brain is actually attending to much less of the sensory information. The parts of the brain that are involved in fear responses are activated and many fear thoughts are being generated that demand attention. In terms of sensory awareness, that is restricted to “scanning” the sensory input for evidence of potentially frightening signals. The brain does not get the “full picture” of what is going on physically. Fearful awareness is like the young child glancing out of the corner of his eye at a pile of dirty clothes in the corner of his darkened bedroom which he thinks might be a monster. If the child turned on the light and really looked at the pile of clothes he would see the true situation, but in his fright he does not do so. In their most recent study, the UCSD researchers expanded their study to look at “normal volunteers” – not just elite athletes and warriors – and they gave these subjects a questionnaire designed to distinguish high resiliency individuals (those who responded easily to stressful situations) and low resiliency individuals. And, again, in this sample they found the same pattern – high resiliency individuals, when trying to breath through the mask, had the same pattern of brain activation as elite athletes, and low resiliency individuals had a pattern that was more similar to what happens in panic attacks. Very interesting, you may be saying, but how does that help me if I am not naturally someone who easily handles stress? In other words, you may be able to change your brain’s response to challenging situations to more nearly match the responses of high performance athletes. If you are an athlete you may want to learn more about mPEAK training. Or you may want to explore options for learning Mindfulness Based Stress Reduction or Mindfulness Based Cognitive Therapy. Haase L, May AC, Falahpour M, Isakovic S, Simmons AN, Hickman SD, Liu TT, Paulus MP. A pilot study investigating changes in neural processing after mindfulness training in elite athletes. Front Behav Neurosci. 2015 Aug 27;9:229. doi: 10.3389/fnbeh.2015.00229. eCollection 2015. PubMed PMID: 26379521; PubMed Central PMCID: PMC4550788. Haase L, Stewart JL, Youssef B, May AC, Isakovic S, Simmons AN, Johnson DC, Potterat EG, Paulus MP. When the brain does not adequately feel the body: Links between low resilience and interoception. Biol Psychol. 2016 Jan;113:37-45. doi: 10.1016/j.biopsycho.2015.11.004. Epub 2015 Nov 28. PubMed PMID: 26607442. Johnson DC, Thom NJ, Stanley EA, Haase L, Simmons AN, Shih PA, Thompson WK, Potterat EG, Minor TR, Paulus MP. Modifying resilience mechanisms in at-risk individuals: a controlled study of mindfulness training in Marines preparing for deployment. Am J Psychiatry. 2014 Aug;171(8):844-53. doi: 10.1176/appi.ajp.2014.13040502. PubMed PMID: 24832476; PubMed Central PMCID: PMC4458258. Haase L, Thom NJ, Shukla A, Davenport PW, Simmons AN, Stanley EA, Paulus MP, Johnson DC. Mindfulness-based training attenuates insula response to an aversive interoceptive challenge. Soc Cogn Affect Neurosci. 2016 Jan;11(1):182-90. doi: 10.1093/scan/nsu042. Epub 2014 Apr 8. PubMed PMID: 24714209; PubMed Central PMCID: PMC4692309.